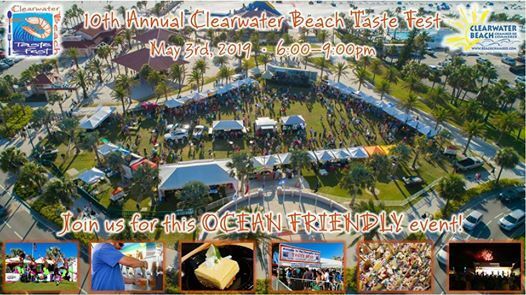 The 10th Annual Clearwater Beach Taste Fest will be held on Friday, May 3, 2019 (6:00 pm - 9:00 pm). 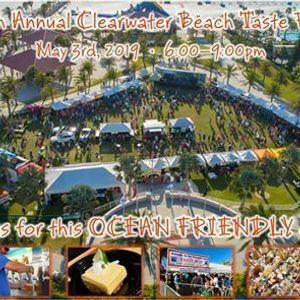 Recently named Trip Advisor's #1 Beach in America, Clearwater Beach will host this scrumptious, OCEAN FRIENDLY, event at the picturesque Pier 60 Park. This event will feature tastings from over 30 participating restaurants, wine & craft beer, and live entertainment from the extraordinarily diverse musical group – C’Nergy Band.